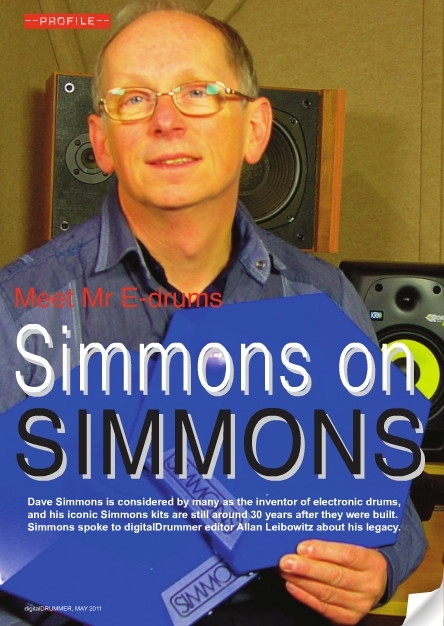 Allan Leibowitz, chief editor of Digital Drummer Mag, had one of the rare opportunities to make an interview with Dave Simmons. In a very open manner Dave reflects upon the “good times” back in the 80s, the “bad times”, Simmons’ influence on today’s electronic drums and also his conflicts with Guitarcenter. With only 100-200 units built around 1980, the SDS3 is one of the most sought-after drum synths. It is very hard to find a reliable working unit. After I got mine in 2005 I forwarded it to Michael Buchner asking him to do some repairs and to give him the opportunity to study and draw the (real) schematics (Dave Simmons’ original schematics had some errors). One of Michaels following projects was a one channel clone. In early 2009 I had the pleasure to check a prototype which was more or less only a ball of wire, but it worked perfect and sounded like 100% SDS3. The target of Michael’s project was more or less fun. 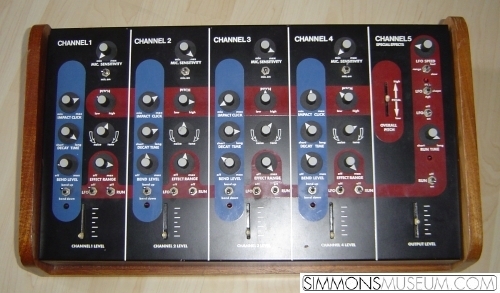 But short time later the German synth manufacturer Touched-By-Sound also started to develop their own 5 channel clone. Michael shared his board layouts and during the 2011 Frankfurt music fair the Simmonizer SDS3 clone was shown for the first time under Touched-By-Sound’s label Mode Machines. You are currently browsing the Simmonsmuseum's Blog blog archives for April, 2011.